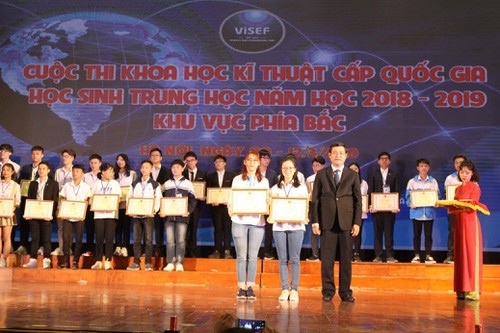 After three days, the northern Vietnam Intel ISEF (ViSEF) competition for high school students has come to a fruitful end. 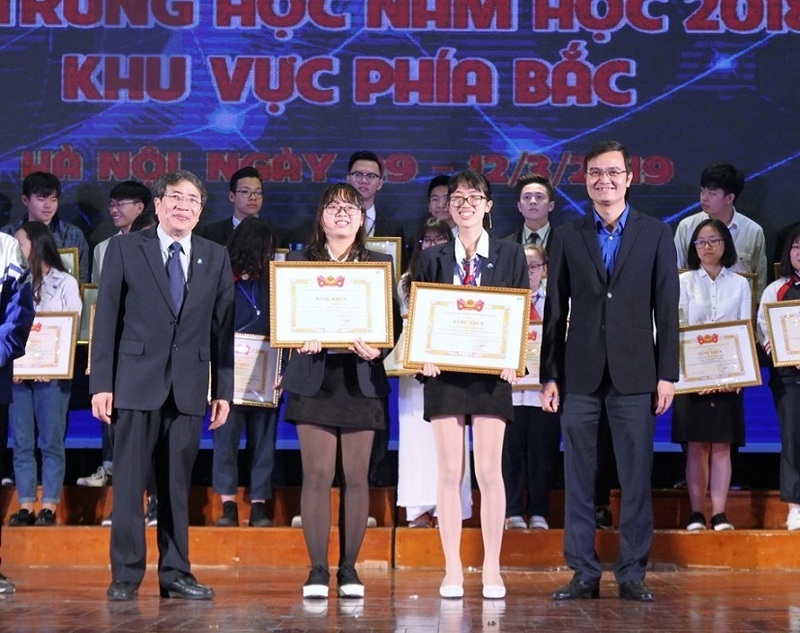 In the evening of March 11th, the contest organizers held a gala for awarding the best projects at the 700-seats hall of Hanoi-Amsterdam High School for the Gifted. The gala night was a success, leaving many impressions in the hearts of attendees. Joining the Gala were Head organizer – Dr.Vu Dinh Chuan, Vice Head Organizers – Assoc. 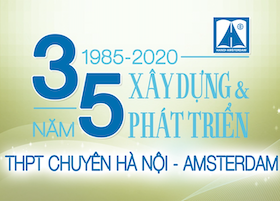 Prof Nguyen Xuan Thanh and Do Van Nam, along with representatives of faculties from the Ministry of Education and Training, regional Departments of Education and Training as well as delegations, teachers and contestants from all the teams. At the beginning of the gala, the organizers had a small surprise for those who participated in the competition. That was a birthday party for the students who have birthdays in March. In harmony with the melodious stage of the song "Happy Birthday", the representative of the organizing team sent gifts to 35 students, which was a great encouragement for them after three stressful and competitive contest dates. ViSEF is a Science and Technology competition for High School students – a tournament for students who love Science subjects and yearn for bringing theoretical knowledge into useful inventions. Through this year's competition, the organizing team was very surprised to have many creative ideas, practical meaning in life. The best competition projects were honored in the award gala night. Gifts and scholarships were given to the most talented "young scientists". The organizing team hopes that this will be a motivation for students to continue their passion for science and research to find good ideas and contribute to the country’s development in the future. The northern Vietnam Intel ISEF (ViSEF) competition for high school students has come to a fruitful end. Hopefully, the competition will continue to develop further in the future and remain to be a good opportunity for students who are passionate about science to apply knowledge from the classroom into reality.